While at Dublin tech conference Web Summit, I was ushered into a room with blue walls and Facebook logos everywhere. Someone placed a device that looked like ski goggles on my head. Immediately, my reality shifted. I was standing on a platform in what seemed like a vast darkness. At any moment, I could have leaped from it. Let me preface this -- I'm afraid of heights. My first reaction was to shift the contraption above my eyes and cheat a bit so I could see my feet in the real world. 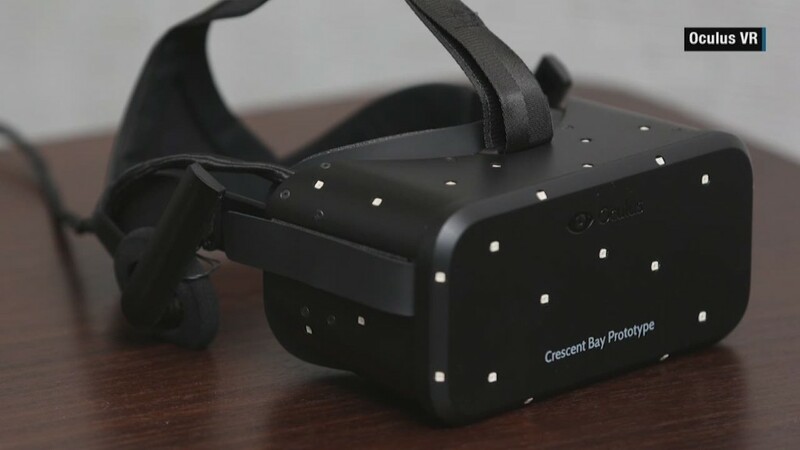 It was the beginning of a string of virtual reality demos with Oculus's new prototype, Crescent Bay. In March, Facebook (FB) took a $2 billion bet on virtual reality, acquiring Oculus VR. Months later, Oculus is beginning to give users a glimpse into the future of virtual reality. During those demos, I found myself face to face with an alien watching me curiously. I turned around and there was an entire galaxy behind me. Then I was in a corridor. There were footsteps as a large T-Rex snuck around the corner and started bounding toward me. I ducked as the dinosaur stepped over me. The imagery is clear and all the movements are fluid. You're able to look up, down or behind you. For those reasons, your body reacts even though your mind assures you it's not real. One of the most effective demos was a dramatic New York skyline. I stood in the middle of it, a bridge nearby, with breathtaking views in every direction. They tell me it's a favorite, but I can't move. My fear of heights kicking in, I start to experience vertigo. Again, my mind tells me it's not real but my body experiences something completely different. All of the new demos show the massive progress the company has made since its first generation Oculus Rift. I tested out the previous version when shooting a story on uVisit, a company that utilizes Oculus to help students go on virtual reality campus tours of potential universities. While the concept was interesting, you didn't feel completely immersed in another world. And ten minutes wearing the old version of Oculus Rift left me dizzy. This time around, it didn't feel any different than normal goggles. But the newest prototype is more than a step in the right direction -- it's an indicator that consumer VR applications could get really interesting. Oculus CEO Brendan Iribe loves the alien virtual reality demo for this reason. What if you swapped the alien for your friend, he says. Iribe, who lives in California, says the headset could let him go to lunch with his friends in New York. And since the virtual reality world knows no limits, they could all dine in London together once a week. But don't start making virtual lunch dates just yet. The ability to program what you're doing and with whom is still a ways off. Iribe says we won't see the device for "many months."